Until recently, Icelandic food used to mean fish and lamb, potatoes and canned or frozen vegetables. Thankfully the country has moved on since then and is now a centre for excellent cuisine. If you’re looking to try a few typically Icelandic goodies, try hangikjöt (smoked lamb to eat in sandwiches), skýr – a delicious high-protein yogurt like substance – or harðfiskur (protein-filled dried fish strips). People with a sweet tooth should taste Icelandic chocolate, licorice (or the popular chocolate-licorice combo! ), Opal candies and snúður (frosting covered pastries). If you’re here during the holiday season, pick up some jólaöl (orange soda mixed with malt – just try it!) and some laufabrauð, the fried flat bread of the season (homemade is best). And when you’re in town, don’t forget to try a traditional hot dog and some delicious soft ice cream. Coffee culture has caught on strong in Iceland and the capital, as well as most other towns, is dotted with places to sit and enjoy an espresso or any other caffeine concoction, as well as some delicious cakes and pastries. Most have free wireless internet, and many offer refills and a healthy supply of newspapers and magazines. 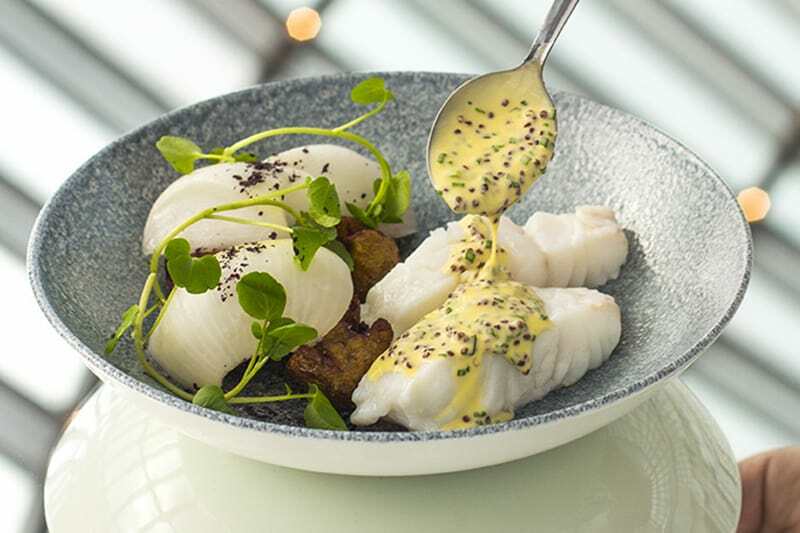 Dining in Reykjavík is a culinary celebration of fresh ingredients and cultural variety. There are over 170 restaurants in the greater Reykjavík area where top Icelandic chefs have the advantage of cooking with pure and natural Icelandic ingredients. Fruits and vegetables are grown organically in greenhouses and meat and dairy products are free of additives and growth hormones. Very often the mouth-watering halibut swimming in a delectable sauce on your dinner plate was carelessly swimming in the ocean during breakfast. Icelandic cuisine, like many things in Iceland, benefits from the open-mindedness of the Icelandic people and the willingness of the culture to adapt foreign tastes to its own. It is characterized by an imaginative use of pure Icelandic ingredients such as fresh fish and seafood, organic lamb and wild game. Reykjavík also has plenty of restaurants offering cuisines from almost every corner of the world, from Italian to Thai and everything in between, including several vegetarian and vegan restaurants. If you want your evening to go longer than dinner, fear not. The Icelandic nightlife needs to be seen to be believed. Locals dress to the nines – such classy wear is not a requirement for tourists – and head out in droves to the latest dance clubs, tiny live music venues, and pubs. This is a great opportunity to chat with Icelanders, who shed some inhibitions as the evening wears on and enjoy talking to visitors.